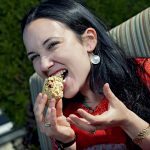 According to food historian Emelyn Rude in a story for Time magazine, “on any given day in the United States, 6 percent of the entire country will be eating takeout for one meal or another,” whether ordered from an oyster cart or through an app. It’s a fact Manhattan Hub owner Abbott Younes can get behind—he was an early believer in giving customers easy access to tasty eats. After Pizza Hut, he spent some time with Einstein Bros. Bagels. And then in 2004, he bought the ten-year-old San Francisco deli, Manhattan Hub. “I’ve always believed in online ordering,” Younes says of why he rushed to build a website and implement a program to allow customers to pay over the phone or online using a credit card. “Demographics are changing. When I took over, we had a line of dine-in customers mid-to-late age. Now, mostly young people come in, the same customers who do everything online. I was a big believer.” Over a decade later, Younes credits his continued success to this foresight. Well, that and a few more things. Why do you think you’ve been so successful with Manhattan Hub? I always concentrate on the three p‘s: people, product, and place. I have a very strong belief in HR; people tend to work with me for years and my turnover has been very low. We work around people’s lives—[we don’t] make their lives about their work. I hire from all ethnicities and backgrounds, so many languages are spoken here daily. The key is to treat people with fair dignity, obey all laws, then give a little bit more. It’s about treating people well. How does that ethos translate to the customer? When you have happy employees, you end up with happy customers. The employees love their work, they want to work, they’re excited and happy, and they give customers the best they can. 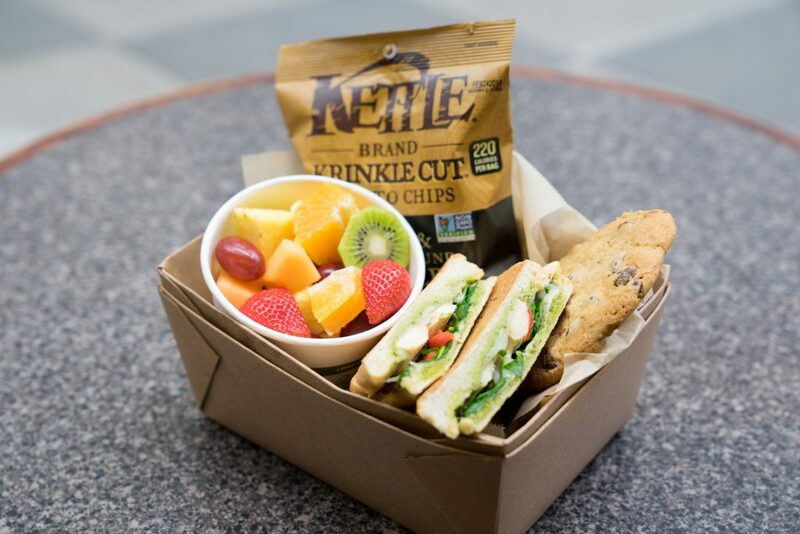 How have the needs of your San Francisco catering customers changed in recent years? The culture is changing. Lunch used to be an occasion; dining in was big, and to-go and delivery were on the low end. But now, companies are ordering in—they don’t want their employees to go stand in line to order. We are doing a lot more in catering. The last couple of years, it just exploded. We used to serve breakfast and lunch, and now we’re strictly lunch for walk-in customers. In the morning, all we do is prep for catering. Employees come in earlier to accommodate. Food deliveries come in more frequently, and overnight. It’s about managing labor and food outside of catering hours so that we can concentrate on catering once we’re open. How did that affect your actual menu? 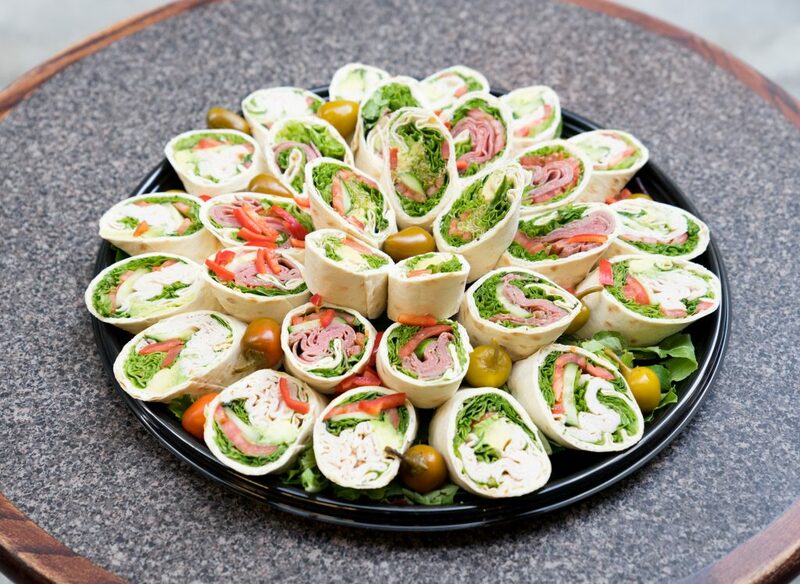 When we started catering, our menu was largely Italian platters. Now, it’s mostly sandwiches, lunch boxes, and salad bowls; salads have been increasing in sales. People want more on the lighter side and [a lower] price point, where you can feed ten people for a hundred bucks. Pastas and Italian dishes run [up the bill] more, and it’s harder to get hot food to the customer hot. Hot foods have challenged companies for years, especially in cold weather; it’s really hard to deliver food as hot and fresh as it was in the store. It tends to always lose some quality. What menu item has remained popular at Manhattan Hub? Most of the platters were named after things in Manhattan since we’re Manhattan Hub. I haven’t seen the Cross Roads Lavash recipe anywhere else. It’s herbed cream cheese spread over lavash [a soft, thin, unleavened Armenian bread]. Then we roll in turkey, roast beef, and some vegetarian options and make a platter that looks amazing. It’s like an Armenian sandwich with cold cuts. It’s one of the most successful platters we’ve ever had. You can grab a roll or two, there’s no mess—it’s ideal for an office. What operating challenge do you feel proud to have overcome, and how would you advise other catering managers facing similar challenges? A lot of mom-and-pop restaurants are shutting their doors because rents are so expensive and revenue is not like before. You have to do more to attract new clients. Marketing, delivery, and commissions are a necessity now. If you miss out on that, you’re not going to be around for long. The city’s changing; demographics are changing. I live in a twenty-story building with people who order food from across town. On the other side, I deliver food across town. If I don’t [offer my customers a] delivery service and ease of ordering, I won’t make it in this city. How did you shift that mentality in your own business? People think we get additional business through sites like ezCater, versus viewing them as an essential source of income. We’re not just a deli or restaurant. We are a catering operation as well. This is a big part of our business. When you order online, you’re treated with the same sense of urgency and importance as a customer who just walked in. I had to train people to navigate the website and confirm orders with providers. You have to confirm within so many minutes, deliver on time, deliver what you promise, and handle multiple orders at the same time. We had to retrain our employees to adapt to this. Ready to deli? Diners and delis are a trend in Manhattan, New York, too!